The vice-president of Lloyd’s International, Winterbottom, knowing that the Sicilian mafia has been able to insure some drug shipments, calls Jack Clementi, ex police captain and now private detective, to solve the case. 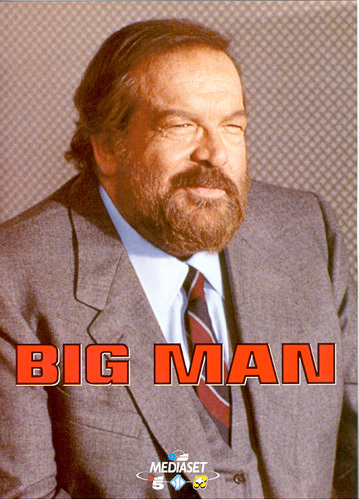 For his great size Jack is called ‘Big Man’ while the nickname ‘professor’ was given to him for his investigative keenness. Clementi starts his research in Rome using some information from captain Caruso, an old friend who works for the Criminalpol. Jack is able to infiltrate himself in the mafia organization and during a trip as carrier he meets Suriciddu, an 8 year old boy who does the middleman for the heroine delivery. After discovering how the criminals manage to insure the drug, ‘the professor’ goes back to Sicily to get little Suriciddu who is prisoner of the mafia . . .